The 2015 version of the Vapor V has been on the market since the spring giving me the opportunity to really put them to the test. 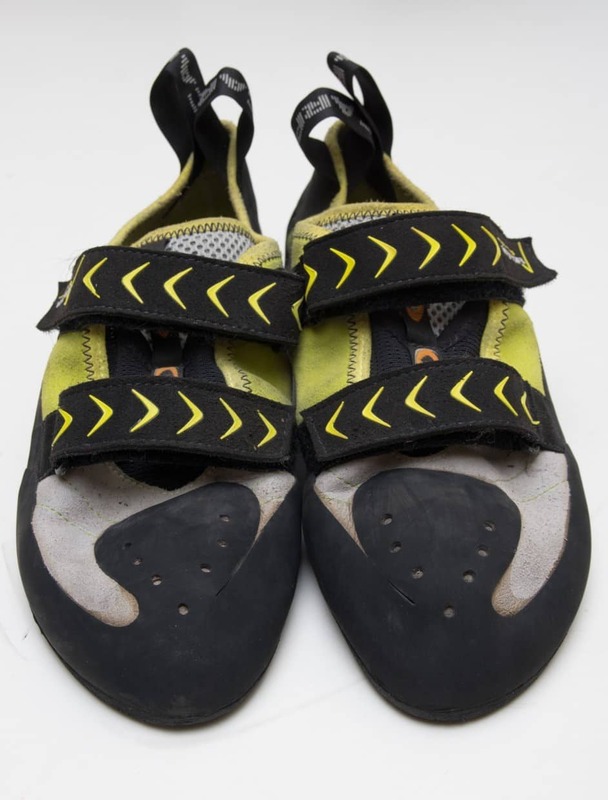 The original Vapor V shoes were my go-to shoes for the gym and outdoor face climbing, both cragging and shorter multi-pitch climbs. They performed like the Muira but fit my foot much better. 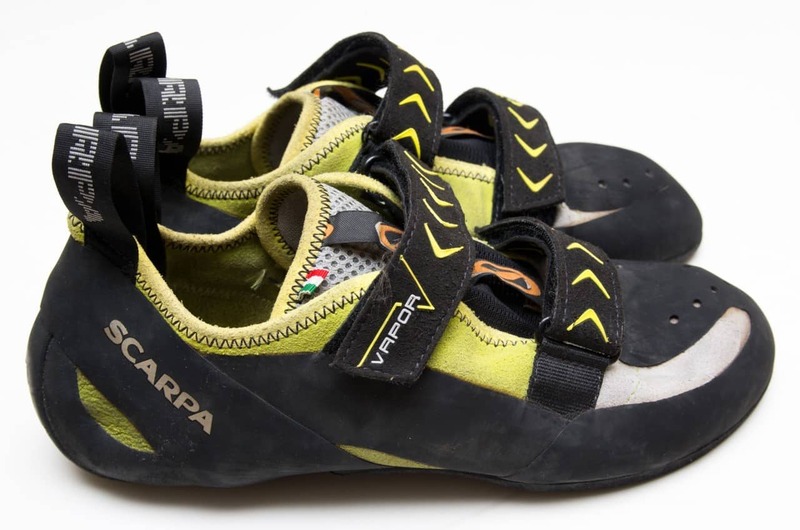 The only complaint that I had with the 2014 version of the shoe was that the heels were both painful on multi-pitch climbs and insecure as they would slip off my foot if I pulled too hard on a heel hook. When Scarpa announced that they were coming out with a redesigned version of the Vapor V I was both excited and nervous as “improvements” can sometimes wreck a good shoe but if the heel was fixed it would make this great shoe even better. Testing out the new Vapor V’s in Red Rocks. After putting the updated Vapor V to the test with climbs on a variety of rock types in different locations across Canada and the US I’ve been really impressed with what Scarpa has done. More than just the heel has been changed but the resulting shoe is comfortable and climbs exceptionally well. Fit: The Vapor falls on the wider end of the rock shoe spectrum and so is great for people with medium to wide feet. It has a slightly downturned toe but is not so aggressive as to be uncomfortable. The heel is more secure than the 2014 version and they no longer pain my achilles tendon. Scarpa’s Bi-tensioned rand is featured in these shoes which they say pulls the foot back into the heel though I could not specifically feel this. 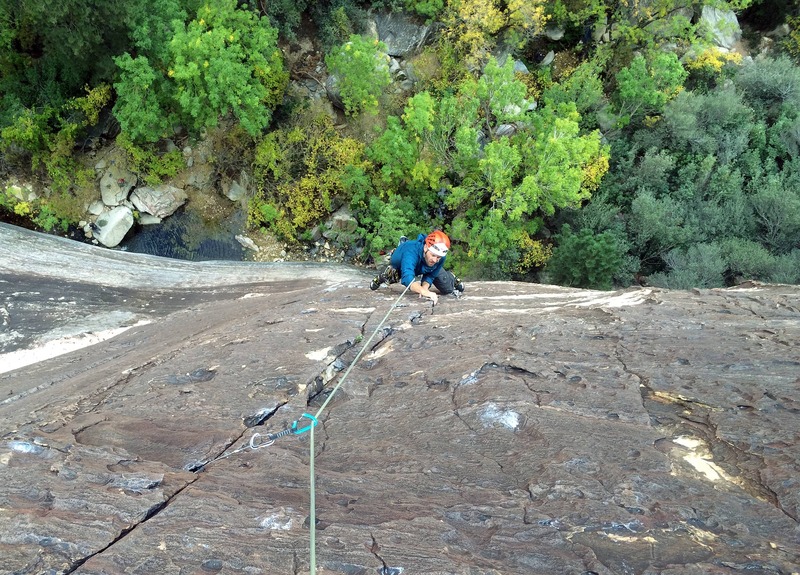 Overall they’re comfortable enough to be used on short multi-pitch climbs but with the performance of a cragging shoe. Stretch: We did not find that the shoe stretched so much as just relaxed a little to match the foot, don’t expect that the fit in the store will change much over time. Performance: The shoe climbs amazingly well on a wide range of rock types including steep face, crack and plastic gym holds and seems to strike a good balance between comfort and performance. I found them to be quite sensitive allowing for precise foot placements while the rubber feels very secure on the rock. More secure feeling heel box with less pressure on the achilles tendon. Overall: Simply a great choice for anyone from beginners to veterans who are looking for a technical shoe that works on a wide variety of rock types and styles from crack to steep face. The new Vapor is more refined than the previous rendition with a better fit, a better look and more performance. I’ve been so happy with these shoes that I picked up an extra pair for the gym this winter. Scarpa has also announced that they will be coming out with a lace version of the Vapor in the spring of 2016 and we will be sure to review them as soon as we can get our hands on a pair. UPDATE: we have reviewed that new lace version of the Vapor here. 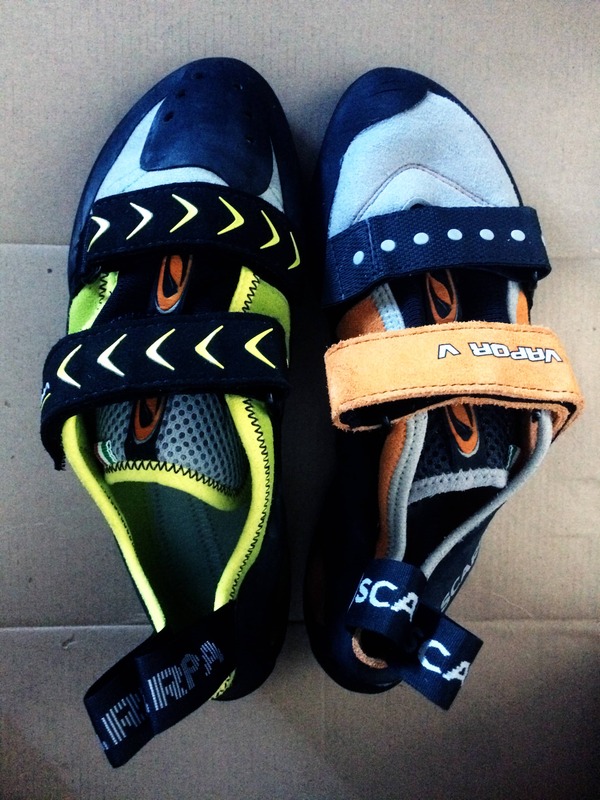 Scarpa provided a review sample but this in no way influenced us. Product photos were taken by Bonnie McIntyre of bonsta.ca.